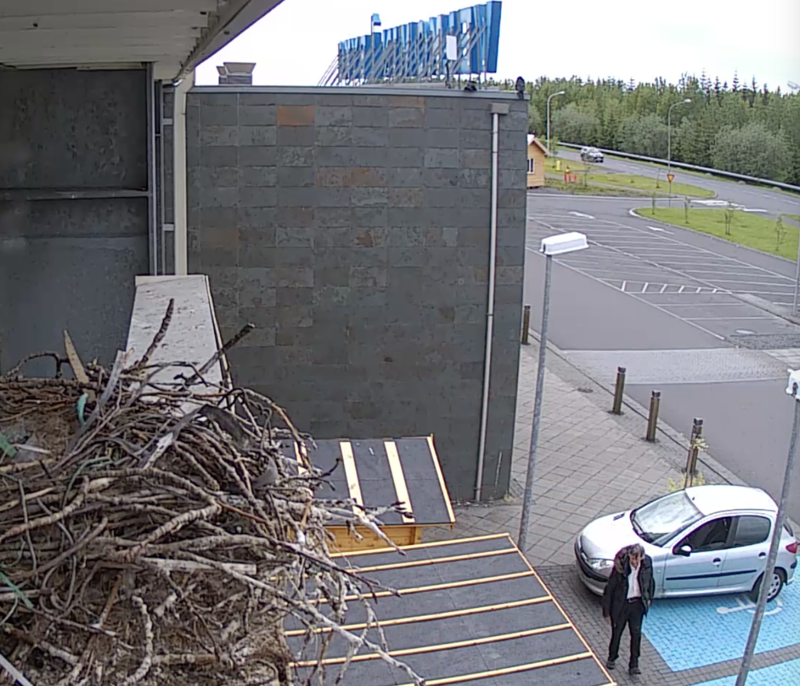 Just checked in and there were none on the nest. 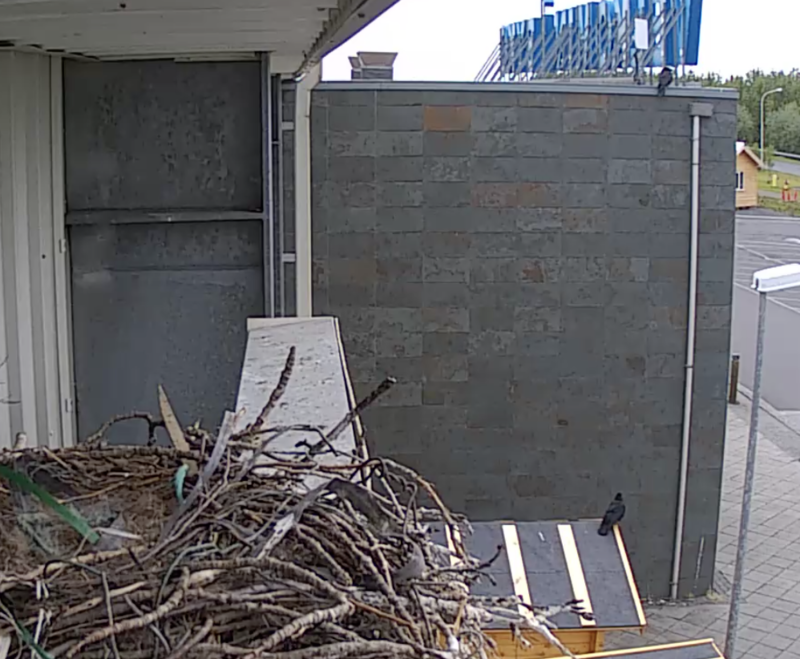 Two were on the building up high, and one was on the furthest shed roof below. 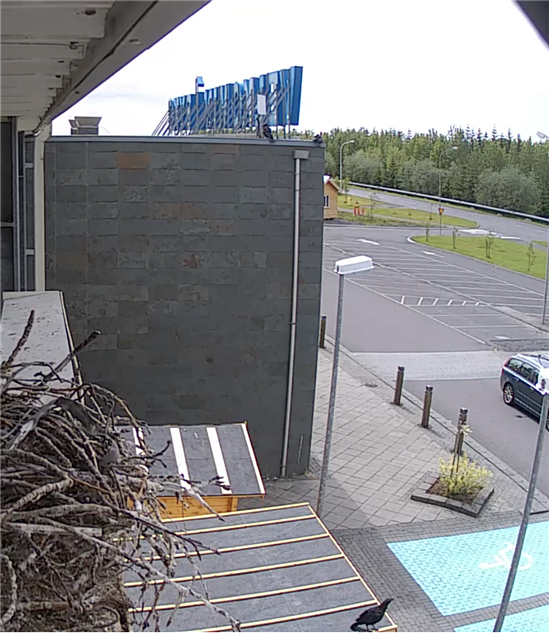 Our babies have properly fledged! 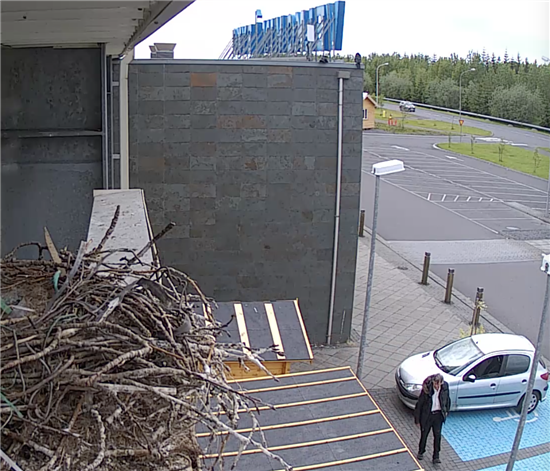 Oldish guy just drove up and is taking a look around the shed area and up at the raven on the roof of the shed (parent?) who walked back under the ledge out of sight. No, I think it is a youngster down below. A parent is about because I saw the two on the roof in begging display, fluttering their wings. People have been stopping to check on the status of the ravens under the nest. Earlier this morning one was on a shed roof. Have not seen anyone on the roof of BYKO. None there at the moment. During the afternoon I did see a couple hopping about the roof of BYKO that made me smile. I trust they all fledged successfully and re now chasing their parents around for food!